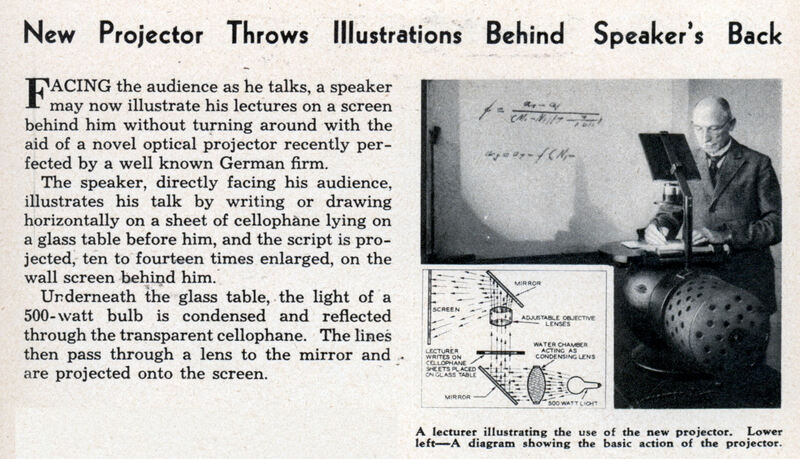 FACING the audience as he talks, a speaker may now illustrate his lectures on a screen behind him without turning around with the aid of a novel optical projector recently perfected by a well known German firm. The speaker, directly facing his audience, illustrates his talk by writing or drawing horizontally on a sheet of cellophane lying on a glass table before him, and the script is projected, ten to fourteen times enlarged, on the wall screen behind him. Underneath the glass table, the light of a 500-watt bulb is condensed and reflected through the transparent cellophane. The lines then pass through a lens to the mirror and -are projected onto the screen. I was once told that the over-head projector was invented by the military so that instructors could keep an eye on sleepy GI’s. And yes I do remember the last one quite well. Right down to the trapezoid door to access the bulb. Wow 500Watt bulb. 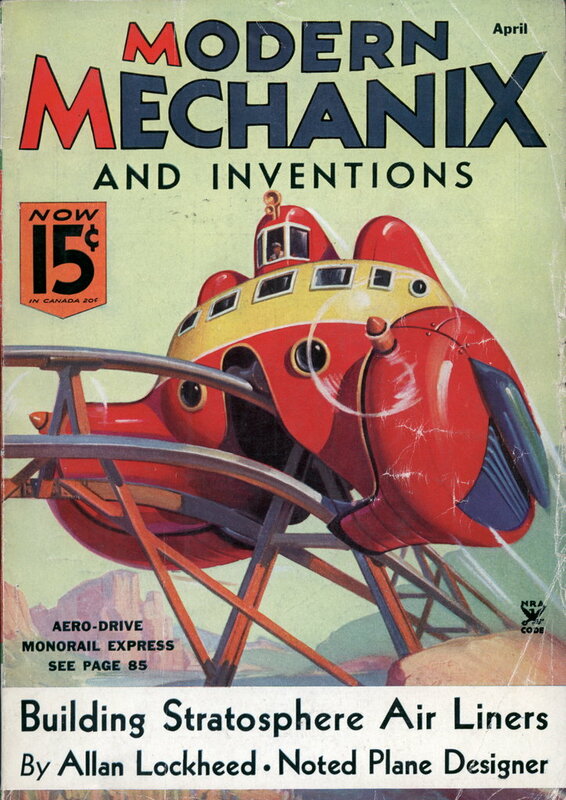 Must have cost a fortune back then to keep that thing going.